Slightly more than 7,000 Lincoln MKZ Hybrid sedans from the 2013 and 2014 model years are being recalled for a potential problem that could allow the car to be shifted into gear without the brake pedal being applied. 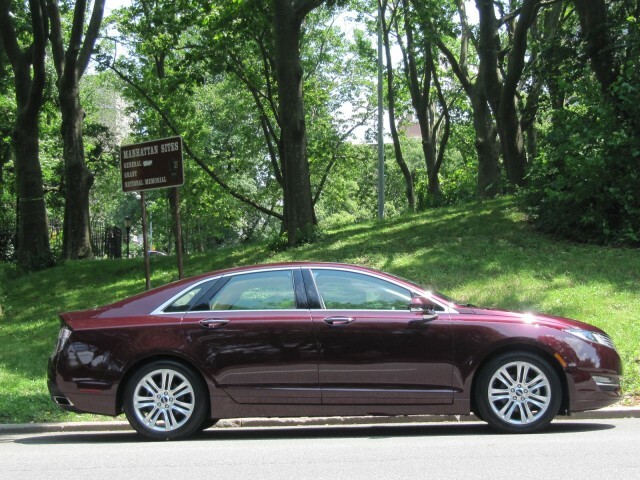 The National Highway Traffic Safety Administration's SaferCar.gov lists a recall notice for 7,153 MKZ Hybrids assembled between April 2012 and September 2013. According to the notice, an error in the manufacturing process may affect the transmission's range sensor and cause it not to function properly. If that component malfunctions, the hybrid mid-size sedans could be shifted out of Park--using the pushbuttons on the dashboard that the MKZ substitutes for a traditional shift lever--without the driver first having to press the brake pedal. Starting this month, Ford will contact owners of the affected vehicles to schedule a visit to the service department at their local Lincoln dealer. The company will update the software in the Powertrain Control Module to fix the problem; there will be no charge for the service visit. Owners of 2013 and 2014 Lincoln MKZ Hybrids may contact Ford at 866-436-7332 to find out if their cars are affected; they should use Ford's number for this particular recall, which is 13C09. Owners may also contact the National Highway Traffic Safety Administration Vehicle Safety Hotline at 888-327-4236, or view the full notice on SaferCar.gov.